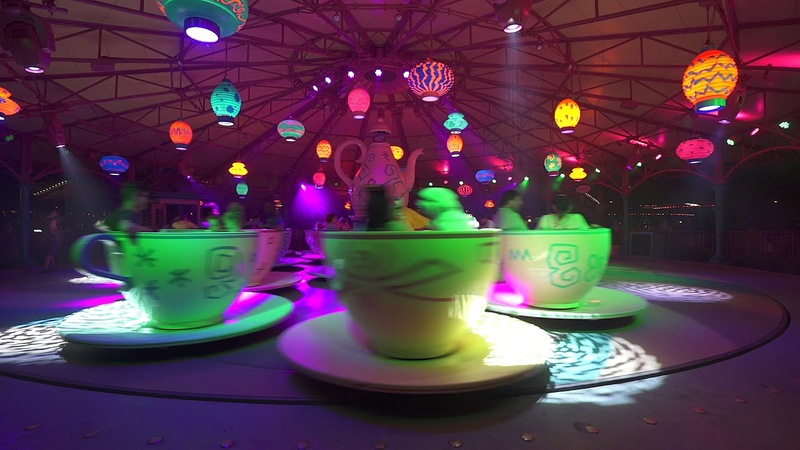 Aug 23, 2018 in "Mad Tea Party"
The Magic Kingdom's classic Mad Tea Party ride in Fantasyland debuted a new lighting package for this year's Mickey's Not-So-Scary Halloween Party. Using overhead mounted articulated lighting fixtures, the ride gets a much more dynamic ride experience after dark on Halloween Party nights. Disney has so far said that the lighting will only be available on Party nights, but the lighting appears to be installed permanently, complete with color matched light fixtures to the roof structure. So it seems likely that at some point is may become a regular nighttime feature. Here is a look at the lighting in action.